Differentiated and delicious. This rich, full bodied Rosé with its expressive aromas of raspberry, redcurrant, and hints of white peach has wowed international wine professionals. Mira Luna was formerly part of the historic Miraval estate. Tom Bove retained its 250 acres (17 acres of vines) at the time of the sale of Miraval to the Pitt-Jolies in 2008. 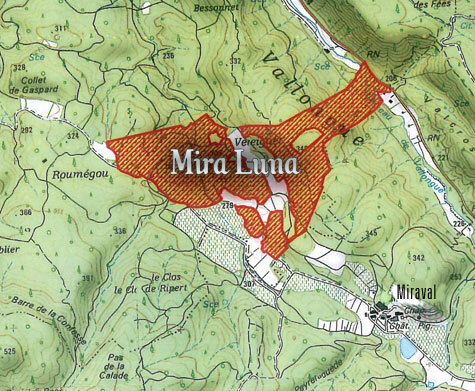 Mira Luna is blessed with the most beautiful terroir where the moon rises over an undulating landscape shimmering with movement and mystery. Its beauty was such that it inspired a former Miraval owner, the jazz musician Jacques Loussier, to proclaim that Mira Luna was his very favourite part of the extensive Miraval Domaine. Tom lived and worked on Miraval for 16 years (1992 to 2008) During that time, in 1999, he found a rundown vineyard with a truly great terroir, Chateau La Mascaronne, and is now resident there. 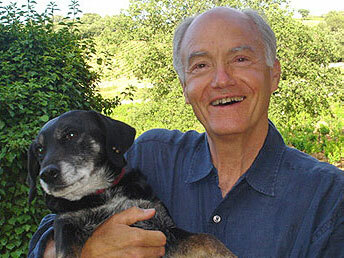 In 2008 Tom Bove acquired Bomont de Cormeil in Coteaux du Verdon along with his sons and daughters.